← French Robotics Cup 2018: Jean Magerand invited to the debate "is artificial intelligence capable of judging what it does?" 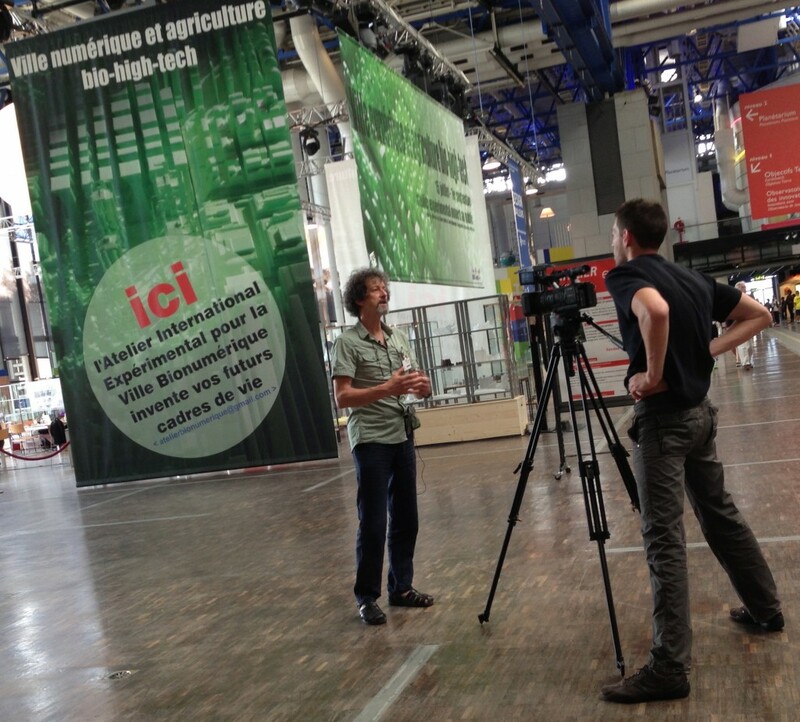 It will be organized by the experimental laboratory, which brings together researchers working on the digital city and the urban agriculture bio-high-tech. WHO: The workshop is open to students and young professionals in architecture, urbanism, landscape, computer science, Robotics, agronomy, biology, sociology, art, modeling, political science, engineering, Urban engineering, geography, design, Graphic design, journalism, communication or any other discipline concerned by the city of the future. Among the participants, we will have 7 students and 2 teachers from KAIST (Korean-based Institueof Science and Technology), one of the most renowned Korean schools, specialized in digital and robotics technologies. Objective: The objective is to experiment with the most advanced techniques in a dense, high-adaptability, high-durability, better habitable city, including a high-tech, organic, productive urban agriculture, taking into account the constraints of Climate change: A "digital city and urban agriculture bio-high-tech". It is also to allow an exchange between students, teachers, researchers, professionals and the public to feed reflection and debate on the issues and the paths of evolution of our cities and territories. 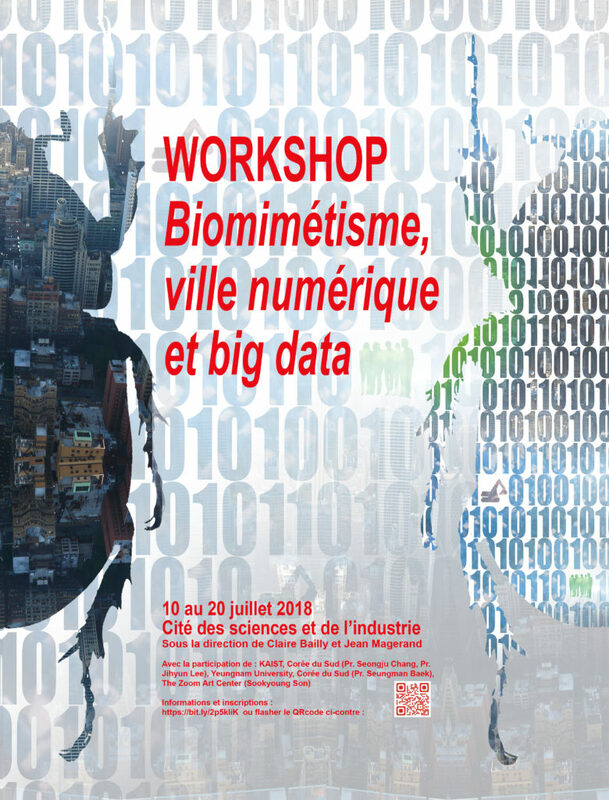 This experimental research workshop is part of the "Bio-mimicry, digital city and Big data" season. 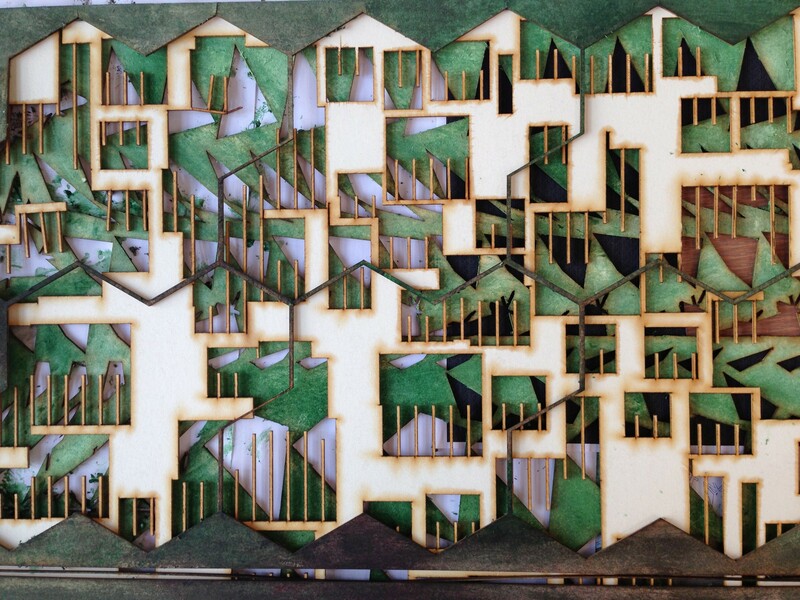 As such, he will explore methodical tools of urban project offered by digital approaches and complexities sciences. The possible reciprocal contributions between urban and bio-mimicry projects will be examined in terms of complex organizational modes. The concept of self-organization opens up the opportunity to weave relevant links between the organization of living environments, social and societal organization, the organization of artificial environments (city, building), and organizations conveyed by the Digital (algorithms, intelligent automations). This experiment will also affect the new lifestyles that digital tools make possible. Organisation: The workshop is set up in the new site dedicated to the experimental Laboratory (level + 1) of the city of Sciences. They will gather up to 30 participants to work in teams. Conferences of experts working on the subject developed will be organized during the workshop to feed the reflection of the participants. They will be open to the public and will also be an opportunity for exchanges. It will be an exchange between students, teachers, researchers, professionals and the public. The aim is to feed the reflection and debate on the issues and the paths of evolution of our cities and territories. The applications of established multidisciplinary teams are strongly encouraged and will be a priority. A few interns may be selected to participate in the workshop or its organisation and communication. For these interns, the workshop will be able to register in a wider internship, part of which can be done before or after the workshop, within the framework of the laboratory in residence. These project or research internships lasting from 2 to 4 weeks may, if necessary, be validated as part of their curriculum within the schools and universities of origin. 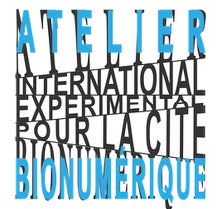 The International experimental Workshop for the city Bio-numérique directed by Claire Bailly, landscaper, urban planner, architect and teacher, and Jean Magerand, landscape designer, architect, thesis director at the Faculty of Architecture of The University of Mons. Teachers from the University of Yeungnam (South Korea), the KAIST (Korean Advanced Institute of Science and Technology, South Korea), the national Higher School of Architecture of Montpellier, the Faculty of Architecture of the University of Mons in Belgium will participate in the coaching of the workshop. This entry was posted in Non classé and tagged City of Science, South Korea, workshop. Bookmark the permalink.